As one man’s meat is another man’s poison, don’t start off in cold water rushed but once you gain experience, pay particular consideration to the water temperature is the first vital step before jumping in the water. Generally speaking, it is warm in 1 meter on the surface, while cold in the deep. You can test the water temperature by a thermometer or just by splashing some water on your body or let your feet drench in the water to feel if it is proper for you. Wild swimming usually needs more preparations for it is outdoors, the hot sunshine and secluded dangers in the water must be taken into consideration. So basic items you need to take include sunscreen, a swimming cap (or two if it’s really cold), a mask or a pair of swimming goggles, wetsuit gloves/booties, swimming bag for dry and wet clothes, etc. You’d better not go wild swimming alone, for wild swimming is unlike indoor swimming, there is no lifeguard or administrator, a companion is might be your savior in the emergency. Many of the best wild swimming spots have steep cliffs and slippery rocks near the water, so never run on wet rocks. Jumping into water from a height also poses risks, for you may not know the depth of the water, there could be hidden obstructions like mud, sharp rocks and aquatic plants just beneath the surface and the water may be much colder than you expect. Before entering the water, you must do some warm-up exercises, such as stretching your arms, pressing your legs and expanding your chest. You’d better stimulating your body by water before entering the water, which will help the body adapt quickly in the water and avoid leg cramping. Wild swimming is not only a challenge for physical power and swimming skills but also a requirement for stable mentality. It is easy to reach to the poolside in an indoor swimming pool, but hard for wild swimming. So, unless you have the ability to swim over 400 meters easily, please do not swim too far. Keep you to be seen by other people, so it will be much safer if you are in danger. Most hikers may think that it is cool to swim in a river or lake after vigorous exercise. However, our bodies will adjust the body temperature by sweating on hot days, while the hotter, the sweating pores are bigger. So, it is harmful to your body when jumping into cold water just after sweating. You’d better have some cold drink and calm down, and then start your wild swimming. Don’t ruin a good swim by stopping short and breast-stroking to the exit. Know where the swim exit marker is located, swim with purpose towards it, and don’t stop until your fingers graze the lake bottom. 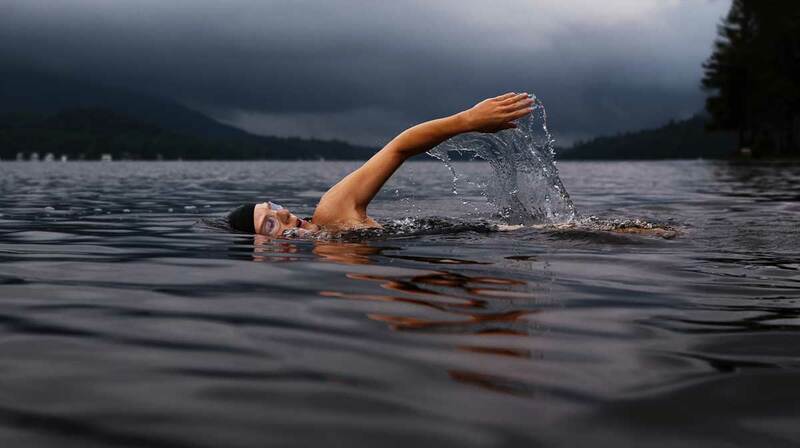 Swim one or two more strokes until you can push yourself up with both arms, then stand up. Give yourself a second to adjust to the change from horizontal to vertical, and exit the water running. Thank you~ follow us on Instagram https://www.instagram.com/allsportswiki/ and get the latest posts information! You can follow us on Instagram https://www.instagram.com/allsportswiki/ and get the latest information! Do you mind if I quote a few of your articles as long as I provide credit and sources back to your weblog? My blog is in the exact same niche as yours and my users would genuinely benefit from some of the information you present here. Please let me know if this ok with you. Thank you! Please remember to provide credit and sources back to my website!